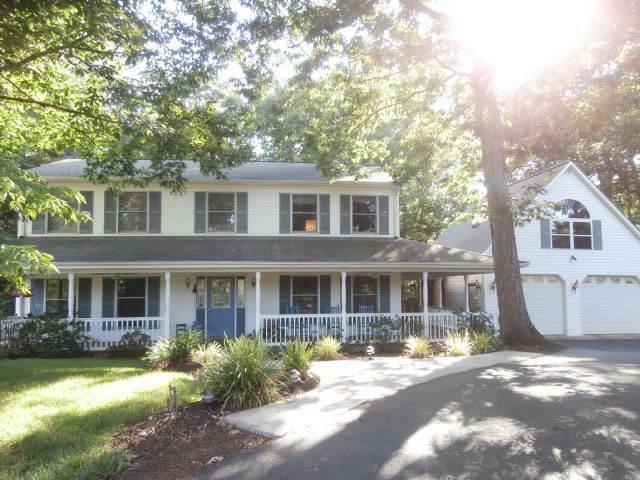 Private and woodsy setting only minutes to Roanoke or SML! Like new 2-story home-great room with beautiful hardwoods, Gas FP, island in kitchen, formal living/dining rooms, spacious Master suite, jetted tub in hall bath, full unfinished basement with BA RI, possible 3rd Garage, Studio above 2-car garage (attached by breezeway), possible inlaw qtrs or studio, peaceful wooded setting. Covered wrap-around porch! !